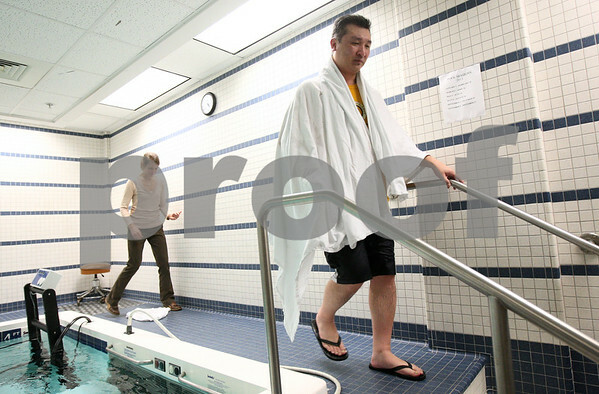 DeKalb teacher John Hahn, walks out from the therapy pool area of Unlimited Performance as physical therapist Melissa Stevens uses a towel to dry behind him around 5 p.m taking care of some of the last of his responsibilities on his first day back to teaching. It was the conclusion one of the longest days in a while for Hahn, who woke up at 6:30 a.m. that day. Hahn was so worn out from the first day back in 14 months that he missed the next two days at school.